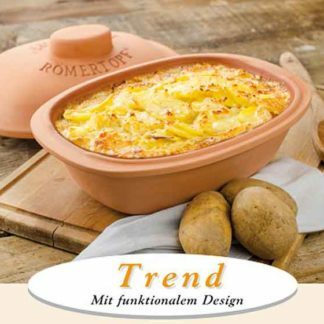 The new “Trend” series, was designed to have an elegant look while being practical. Newly designed with an oval knob and shows unadorned curves for comfort and ease. The Römertopf revives old cooking traditions while at the same time possessing a number of thoroughly modern advantages. 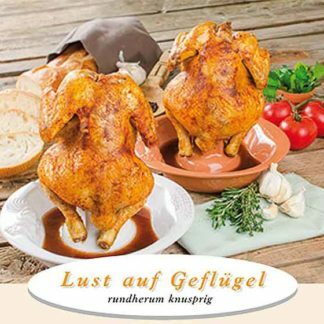 This ideal roaster is unlike most cookware because of its natural high-quality clay from Germany, which will help retain vitamins and minerals in your dishes. 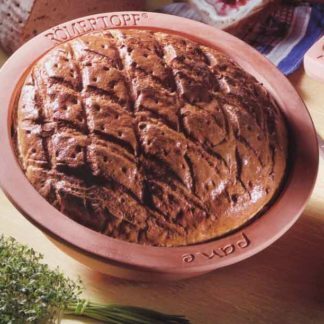 Cooking in Römertopf® not only save nutrients but save time as well, as the baker will not need your attention while it cooks your meal to perfection. 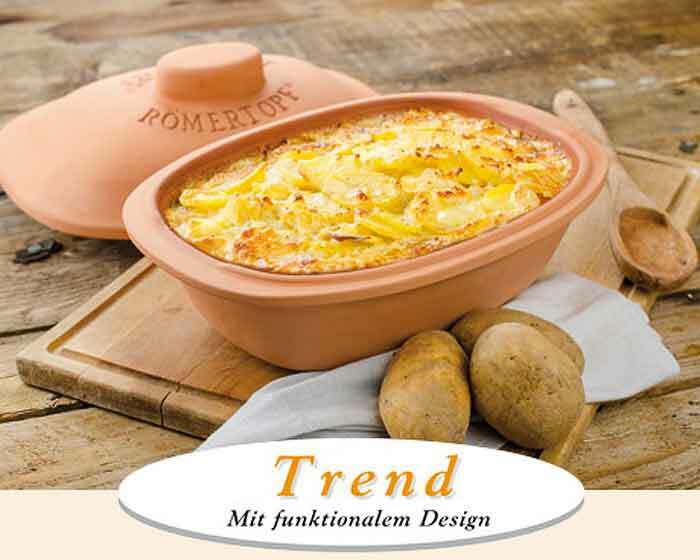 This German made Römertopf® comes with a natural glass frit glazed bottom (not a non-stick coating) which will allow for easy and quick clean up. 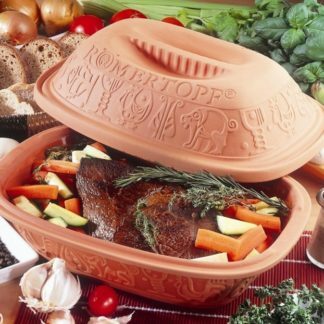 The unglazed top has very fine pores to absorb water and when put in the oven will create a gentle layer of steam to develop inside the Römertopf® for succulent and juicy results. Dishwasher, microwave oven, and oven safe. Hand crafted in Germany. Contains no lead or cadmium.